A Thought: Each day we have the opportunity to do the right thing; say the encouraging word; and share only truth. When we are consistent in these, we are known for our integrity. I have known people who were persecuted for following their ethical standards, but are still standing, not defeated. They are still intact, not diminished. God rewards the faithful. We do not always understand His timing or purpose, but that should never compromise our Trust in Him or our acknowledgement of His Love for us. Prov. 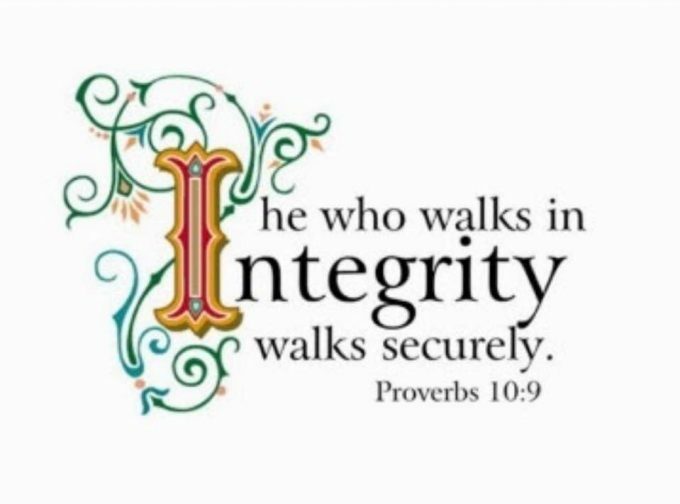 10:9 “He who walks in integrity, walks securely.” Have a fabulous Thursday!